I started hunting back in the 1980s, climbing into Washington state’s highest and gnarliest alpine terrain to find some big-bodied and wide-antlered mule deer. Those bucks were tough to come by. You might see a deer or two a day, but even when you did, that high mountain terrain and its sheer verticality might prohibit a stalk. Those deer shared the granite mountain peaks and lush alpine parks with mountain goats, cougars, black bears, and grizzly bears, the grizzly factor being something we knew 20-some years before biologists admitted as much to the public. As difficult as it could be to find those deer, they were even more problematic when we put one on the ground. Picture yourself on the top of a mountain, 5 miles from your truck, with 70 pounds of deer meat in your backpack and a series of cliffs, scree fields, and dense evergreen forests to negotiate, possibly in the dark. I remember those pack-outs, especially one where my jeans lacked back pockets by the time I’d slid out of the mountains. When I reached the truck, I was bruised, scratched, cut, and embarrassed. Two days later, I was still so sore I barely could walk. I vowed to give up the high mountain hunting I loved so much. But 12 months later, time had erased the memory and I’d scrambled again to the top of the mountains, relishing the alpine landscape, the solitude, and the challenge that high mountain mule deer present. For a long time, I held whitetail deer in lower regard, considering the high-country challenge to be the most important part of a deer hunt. When I moved to Ennis, Montana, in the early 2000s, however, I couldn’t ignore all those whitetails storming the river bottoms and adjacent irrigated fields. And some of these whitetails carried big antlers. So I threw in the towel on mountain mule deer and decided I’d become a whitetail hunter. During eight years in the Madison Valley, I took a few good bucks, but it wasn’t until friends invited me to hunt along the Rocky Mountain Front that I decided whitetails really were worth the effort. Whitetails along the front are found in a variety of habitats, from dry coulees to irrigated wheat and barley fields, to cottonwood shrouded river bottoms, and endless miles of natural grass. Fortunately, the area we hunt offers all of those habitats, as well as big bucks that hide in the river bottom brush until last shooting light, or spend their time in the vast, knee-high, rolling grasslands beyond, where most hunters would never expect a big deer to be. I used to hunt in the brushy river bottoms, but visibility along the creeks can be limited to several yards. There are grizzlies in that brush and I only had to find tracks covering mine in the snow one time to realize I was probably pushing my luck. Furthermore, one evening near dark, a friend shot a buck that ran into the brush and we had to leave it overnight. When we returned in the morning to collect the deer, all that remained were a few patches of hair, a backbone, a crushed skull, the antlers … and two giant patches of matted grass where grizzlies had slept off their gluttony. My father, Fred, has joined in a couple hunts along the front with nonresident deer tags in his pocket. One year, we spent a couple of days passing on small bucks in hopes we’d find one with large antlers. Non-hunters may mistake our desire to shoot mature, adult bucks with large antlers as putting a lesser priority on the meat, but that is far from the truth. 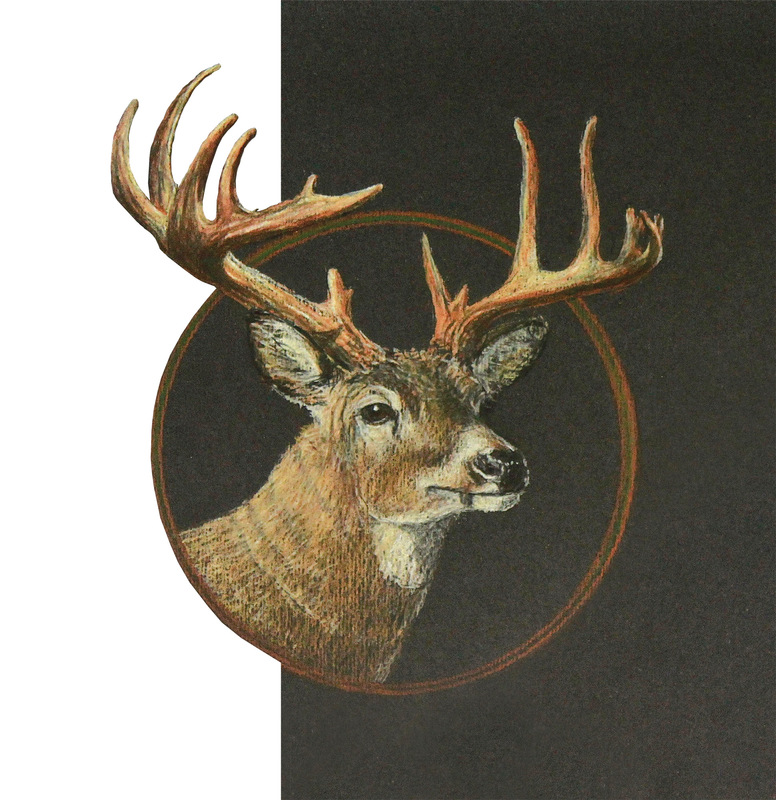 Hunting mature bucks is good for game management, and doing so often extends a hunter’s time in the field, wandering through the landscape, learning the characteristics of animals, watching the fall weather unfold. Most years, when allowed, we also fill B tags, which allow hunters to harvest a doe. Combined, two deer, all well fed on alfalfa, are a treasure to put in the freezer — the finest form of farm-to-fork mentality I can think of. There’s risk, however, when holding out for a big buck; hunters often go home empty-handed because they chose not to take an easy shot on a young deer early in the hunt. I fell into that category a few years ago when Fred drove from Seattle to Missoula and then on to the front with me. We joined a friend and gained permission to hunt one of my favorite areas. We weren’t 15 minutes into the hunt when Fred said, “Do I see a deer right there?” I slinked forward on hands and knees, hidden by a massive pile of fallen cottonwoods. When I peeked around the logs, I saw not one but two large whitetail bucks feeding in a grassy patch with woods on each side. Either of these bucks would have tallied more than 140 points in the Boone and Crockett scoring system. They were bucks of a lifetime for most hunters. I studied both animals closely, trying to decide which one to shoot. One carried wide antlers with five points on each side. The other carried four high, heavy points on each side, including brow tines that may have measured 9 or 10 inches long. Once I’d decided on taking the four-point, I asked myself, “What else might I see if I don’t shoot one of these bucks?” And, “Should I really shoot one of these bucks 15 minutes into the hunt when Fred just drove 12 hours to hunt with me?” When the four-point wandered within 9 or 10 yards of me, I didn’t need to answer those questions — the wind carried my scent and he took off into the brush, taking his wide-antlered brother with him. You know what happened. We hunted the area for three more days, most of the time just hoping to see one of those two bucks I’d passed on, but we didn’t see them again. I don’t need to tell you what dominated the conversation on the drive back to Missoula with Fred. Taking big antlered deer can be problematic in other ways, too. For instance, a couple of years ago, Fred returned to the area near the end of the season to take advantage of the rut, the only time when a big buck lets its guard down. Montana can be brutally cold in late November. That was the case as heavy snow drifted to the ground, followed by a free-fall in the temperature. By the following morning it was 20 below, with ice crystals flying through the air. The deer had disappeared, and with a short window to hunt we were fearful of our chances. But we soon spotted a nice buck quartering down an open hillside and hustled to a spot where we believed the deer would appear. We were right; as expected the deer appeared in a clearing, perhaps 200 yards away, standing broadside, looking our way. That’s when we realized that the puff of “hair” I saw was actually one of the buck’s antlers being turned to dust, something Fred hasn’t lived down to this day. It’s now a family story that my mother brings up by saying, “You need to go back there and pick up that other antler,” as if we might actually find it. There’s no doubt that Fred has been a fortunate hunter, first in Eastern Washington as a boy, next in Alaska as a young man, and since then while hunting elk and deer in Washington. But there’s something about these trips to the front that brings out the laughable bad luck. A few years ago, we were hunting the late season along the front, again looking for a big whitetail buck. For two days, we were in the field before first light and hiking out after dark. But the big bucks remained in the brush. I had seen a group of bucks a couple of weeks earlier, however, that included at least three giants. They were cruising through open, high-grass country. These were the animals that I hoped Fred would get a shot at. At the end of the second day, though, Fred must have made up his mind to lower his standards because on day three, just as shooting light appeared, Fred said, “There’s a nice forkhorn buck and I think this is a good animal to take.” I knew that he wanted this buck for the freezer, but he was also being generous to me, knowing that time was running short for both of us and that his tagging out would allow me to cover the country I needed to in order to locate the big bucks again. So he shot the forkhorn buck, said he was happy to have gotten it, and bragged about how great the meat would be for him and my mother. Later that day, surprisingly, I located the big bucks and made a 2-mile stalk through the high grass to get within range. There were 12 bucks in all, the one I liked best carrying heavy, high antlers, uncharacteristically dark for this area, with four long points on each side. I had crawled within 75 yards of the animals, which were moving left to right, but I could only see their backs, heads, and antlers. I badly wanted to pull the trigger because these deer could have spooked at any moment, but I deemed that kind of shot as risky. I didn’t want to wound a deer and make it suffer. So I held my fire. I was focused on the big four-point until one of the biggest bucks peeled away from the herd, exposed. This wasn’t the buck I wanted, but it was a giant, super wide with eight points on each antler. When the buck stopped I pulled the trigger. When I walked up to the animal, I was delighted: This was the largest whitetail buck I’d ever shot, and its antlers were full of character. Immediately, I forgot about the other deer, including the four-point I had wanted, and only felt fortunate to have taken this one. That can’t be said for Fred. A half-hour after I’d shot the deer, Fred was driving the truck along a dirt road toward my location. As he topped a rise, he spotted the 11 remaining bucks, including the giant four-point, all resting in high grass, placidly watching him. They were no more than 100 yards away, as if knowing Fred had filled his tag on a forkhorn, enjoying an opportunity to drive a hunter mad. Fred might have shot any one of them. After all these years, I still feel a draw to the high mountains. But I can’t deny that hunting whitetails along the Rocky Mountain Front, with all the ups and downs and those laughable moments, is about as fun as hunting can get.